Happy Thursday! I am excited to kick off my fifth annual Caldecott series. Today is Grace Lin's turn to shine! Congratulations, Grace! Hello, Grace! 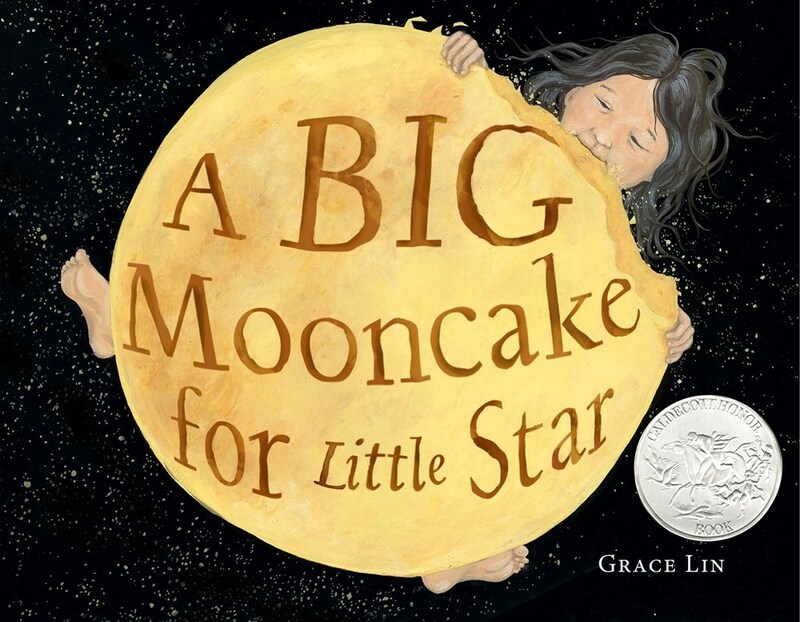 Congratulations on winning a 2019 Caldecott Honor for A Big Mooncake for Little Star. I love hearing about THE CALL. What ran through your head when the phone rang? What were you thinking about when the Caldecott committee was clapping and cheering for you? Grace Lin: Hi Mr. Schu! Thank you so much!!! I’ve been trying to embrace vulnerability (I’ve been reading Brene Brown’s books), so when the Mock Caldecott buzz began to whisper about my book, I decided, instead of trying to be cool and block it out, to just get excited and enjoy it. I mean when you think about all the amazing books out this year, being considered is pretty incredible. However, I also knew that the odds of getting anything were pretty slim—again, think of all the amazing books!! So, while I was enjoying the dream, I did also truly believe there would be a bubble pop at the end…and to pre-comfort myself I actually purposely splurged and scheduled a massage (something I rarely do!) for the same time the awards were to be announced. I thought it would be a nice way to feel special when the dream ended. To my surprise, it turned into a celebratory massage! So, on the morning of the awards, I turned the ringer on my phone (another thing I rarely do!). I did think of it often, but luckily the daily chaos of getting my daughter to school, etc. made it impossible for me to wait by the phone! Around 9:30 EST, there was still no call, so I resigned myself to being unmentioned and thought, “So glad I booked that massage!” and continued with errands, slightly sadly. About 15 minutes later, my husband and I were walking out of our local grocery store, when my pocket started ringing. I think I said, “Oh, my gosh!” and my husband said, “Oh! Awards committee!” and it was! So, we were outside on the sidewalk-- in front of people coming in and out of the store and in front of traffic and dirty snowbanks--when the committee told me I had won the Honor. I kept thinking, “Is this for real?” and then I started tearing up because it was for real, and not a dream, even though it was a dream I’d had for so long. I actually got off the phone with the committee as fast as possible because I was crying and I was embarrassed! I know all the books say that you shouldn’t need external devices for self-worth, that you should never let an award determine your value; and I completely agree. But I also have to admit that winning the Honor makes me feel like, “Hey, I am good enough to be here.” I guess it’s the difference between knowing and believing. I have told myself a million and one ways I am good enough, but winning the Honor made me, if only temporarily, believe it. I hope that doesn’t sound make me sound neurotic and/or egotistical! Picture books are magical tools that can make the ordinary extraordinary and the foreign familiar. School libraries are the places that readers are made. Borrow A Big Mooncake for Little Star from your school or public library. Whenever possible, please support independent bookshops.